Join the Botanica Ethiopia team at the Blackmores Sydney Running Festival next month! 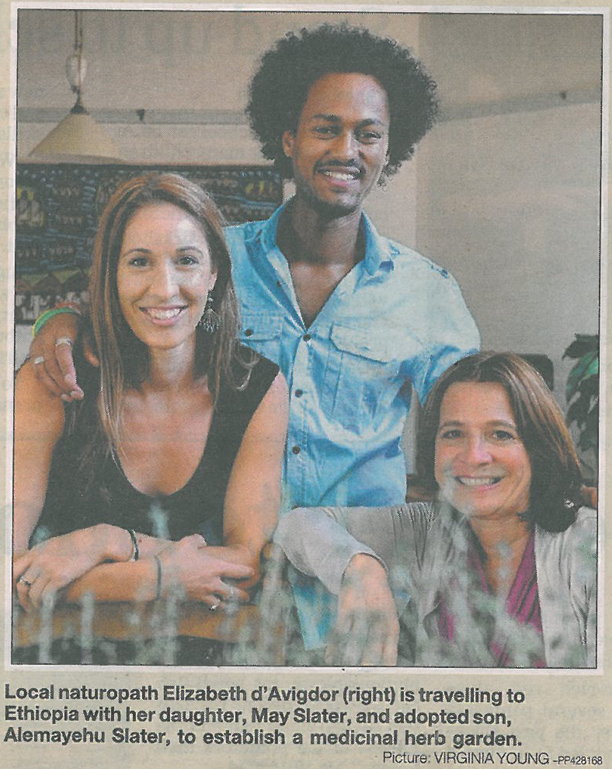 In (almost) true Ethiopian style, we’ll be going the distance – a grueling 9kms and the Sydney Harbour Bridge – on Sunday 18th September, to raise funds for the Botanica Ethiopia Living Pharmacy project. Botanica Ethiopia is an approved Australian aid and development project to establish a medicinal herb garden in Fiche, a rural community north of Addis Ababa. We’re aiming to raise enough money to pay for permaculture technique training at Fiche, to employ a night and day guard for the garden and support community members to manage the site. You can either sponsor the team online or get sweaty with us on the day! Choose from four events; The Blackmores Sydney Marathon and Half Marathon, The Sun Herald Bridge Run or Family Fun Run. Please go to our Charity Event page at GoFundraise to donate online. All donations over $2.00 are tax deductible. Simply email your fundraising page link to your friends, family, and colleagues and ask them to support your cause by donating online. We will donate 10% of all money raised through the running festival to the UNHCR East Africa Crisis Appeal. The Horn of Africa countries – Somalia, Kenya, Ethiopia, Djibouti and Eritrea – are experiencing the worst drought in 60 years and ‘the world’s most severe food crisis’. Last month the United Nations officially declared famine in two regions of Southern Somalia and a humanitarian catastrophe for East Africa. 12.4 million people are in need of urgent humanitarian assistance. 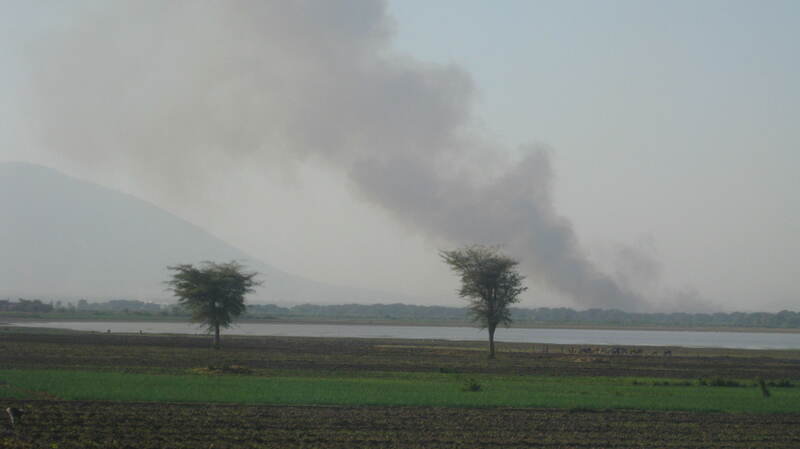 Read more about the East Africa crisis here. Let’s get training! Registrations close 16th September. This month, Oxfam launched its GROW campaign with a new report on food security. The campaign is for a world without hunger and the report shows how our global food system is failing the very poorest. For me, three facts stood out. The first was that 80% of the world’s hungry people are directly involved in food production. Oxfam says that the 500 million small-scale farmers in the world together feed one-third of humanity – but they themselves go to bed with empty stomachs. 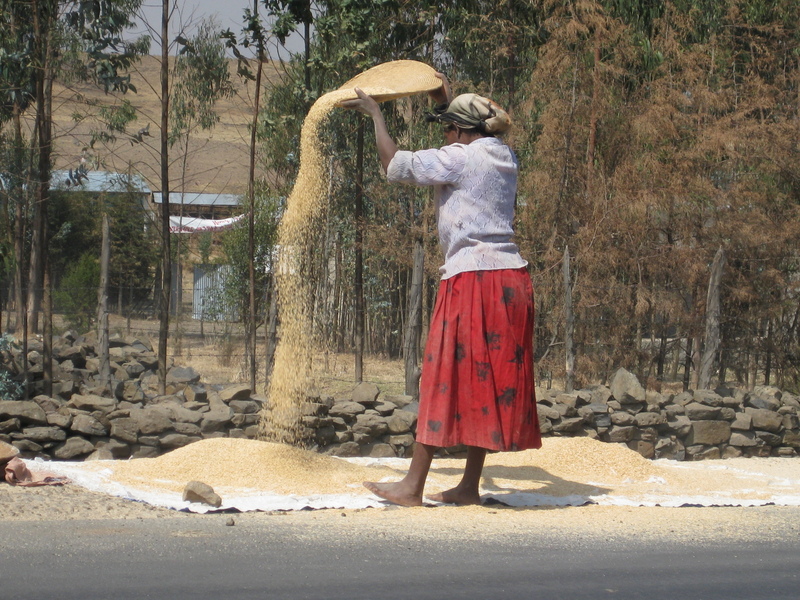 I remembered the figure that 80% of Ethiopians are small-scale farmers. The next was that crops in sub-Saharan Africa will yield 20–30% less (and maybe even less) by 2080 because of climate change. The third was that foreign investors had bought 110 million acres of arable land & water in developing countries in 2009 (the size of California and West Virginia combined). I remembered our driver, exasperated with locals in the remote south who were using a steamingly-fresh bitumen road to walk their animals to market one morning; “The people love these Chinese roads because now their clothes are not covered in dust – but they don’t know they might die walking along here!” – Beeeep! I remembered Chinese cement factories and acres of European flower farms along the lakes region south of Addis Ababa. I also noticed much less obvious poverty on the streets of the capital than I had on a trip five years earlier. In 2010, Ethiopia offered 7.4 million acres of virgin land to foreign corporations to grow food for export. With a history of extreme drought and famine, a future especially vulnerable to climate change and a present at the centre of a farmland grab by fast developing countries like China, India and Pakistan – How can Ethiopia protect its natural riches and provide for the health of its people into the future? We spoke to Dr Tesfaye from the Ethiopian Institute of Biodiversity Conservation about protecting Ethiopia’s unique natural heritage and why this is important. The land behind Lakew’s house in Fiche drops 2000 metres into the Great Rift Valley; it becomes teff and grain crops, and salty white river banks, as far as the eye can see in any direction. Actually, this tectonic rift, or trench, runs more than 6000kms from Syria in Southwest Asia, through Ethiopia and down to central Mozambique – and from here, all of Africa’s Great Lakes were formed. It was on the slopes and crags of one cliff face (which we were also told is one of the top hang-glide launch pads in Africa!) where we would spend an afternoon in the high plateau sun; collecting and tagging native herbs for identification at the Institute of Biodiversity Conservation. We set off with Lakew, Dr. Tesfaye and the Fiche men who knew this ground so well. We came back with a mini living pharmacy of plants and a troop of ten local boys, out of school for the afternoon, who called themselves ‘The Soccer Team’. 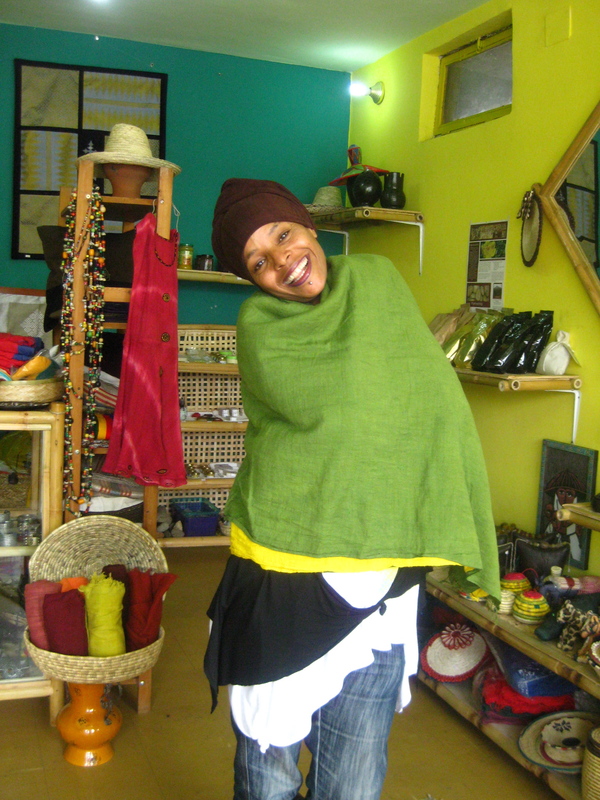 The shop was only two months old when we stepped in, but its freshly painted yellow walls were heavy with Ethiopian artefacts, draped with bright dyed scarves and gabis (highland shawls for the cold) and hand made bead necklaces. 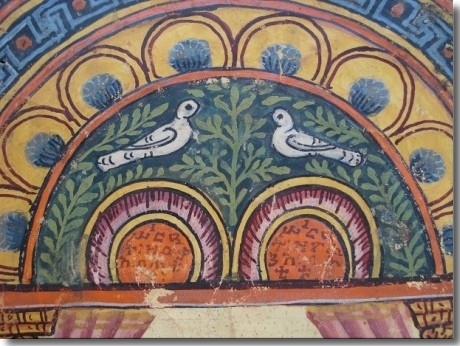 There were paintings, rugs, pots and wooden stools for traditional coffee ceremonies, embroidered pillow cases, wild-forest coffee and honey, soap made from camels’ milk and frankincense, teas, jars of guava jam and green herbs for the skin and hair. 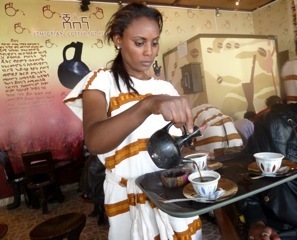 We were wild for it – and for the next month or so, we would pop in after a day running around Addis to have coffee with the owner, Milka, and her friend Kidist – and to see what new things they had in that day. Because early mornings in Fiche are crisp, we’d chosen a spot in the sun by the back fence of the garden to interview Zerefenesh about her herbal remedies. We stood on the hill, introducing ourselves, with the land and the road out of town behind us. But as we began, we quickly lost our voices to the painfully loud, metal-grating-stone sounds of a semi-trailer that had lost its brakes; hurling down the hill, smashing through the front fence of the garden and flipping over onto the terraces just metres away. Its load of rough granite was thrown far, the upturned cabin – crushed, and the front tyres, still spinning, were in flames. We were helpless to know what to do other than to stop the children near us from going any closer. 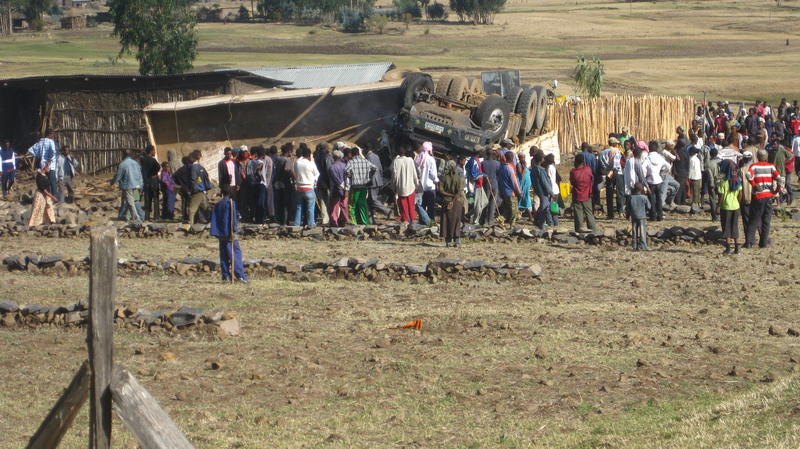 People came running from town and across the farmland around us to help; throwing earth and water and branches on the truck and trying to help the passengers out. No one was killed; all three crawled from the window and, amazingly, the worst injury was the driver’s broken arm. 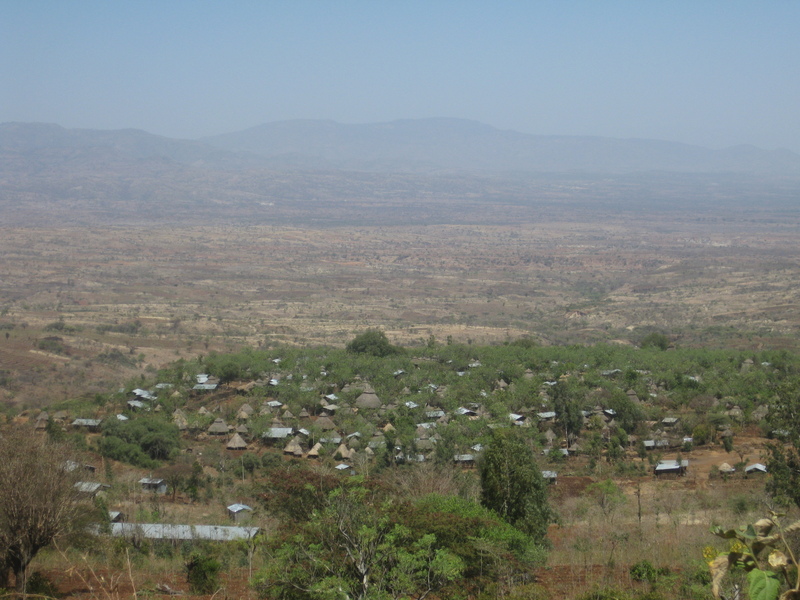 In the very South of Ethiopia is Karat-Konso and we were to stay at a small permaculture farm in the highland town to gather ideas for our garden in Fiche. 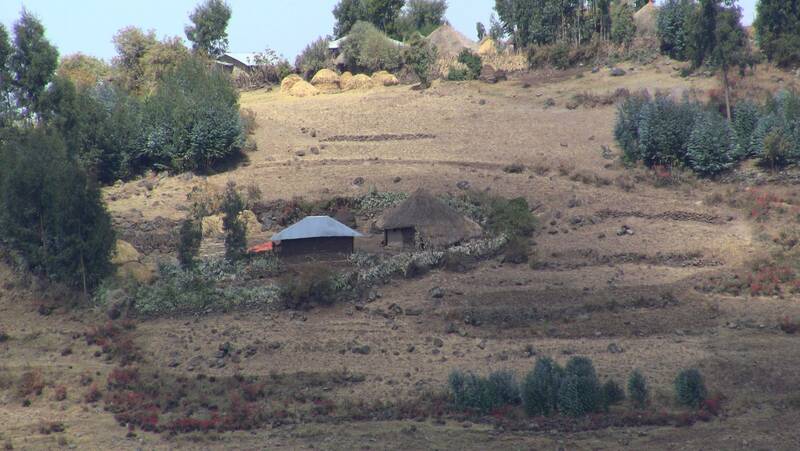 Konso is named after the ethnic group of the area and is unique in that its people have maintained a tribal culture, dating back 1000 years and unlike any in Ethiopia. Governed by clan chiefs and councils of village elders, the Konso live in nine different walled villages on the arid hilltops surrounding the town. At this time of year it looked dry and scrubby, but the area receives two rainfalls a year and the locals are re-known for their productive terraced farming systems and hard work. From our spot on the hill, we watched the sun set over the valley and the farm below before enjoying a delicious meal under the stars of vegetables and rice, ginger tea and mangoes we’d brought along the road that morning. Vegetables have been difficult to find and our spoilt and sensitive ferenji stomachs were struggling from all the meat and bread! Washed and fed, we took our solar lanterns to bed early. But up in town, the lights went out and a food strike began – the government had set prices on food and drink in an attempt to control inflation and store owners throughout the country were protesting. We didn’t know this until the next day, when we realised the reason busloads of tourists were descending on the eco-farm at breakfast, was because it was the only place around that could provide food – it came out of the garden. 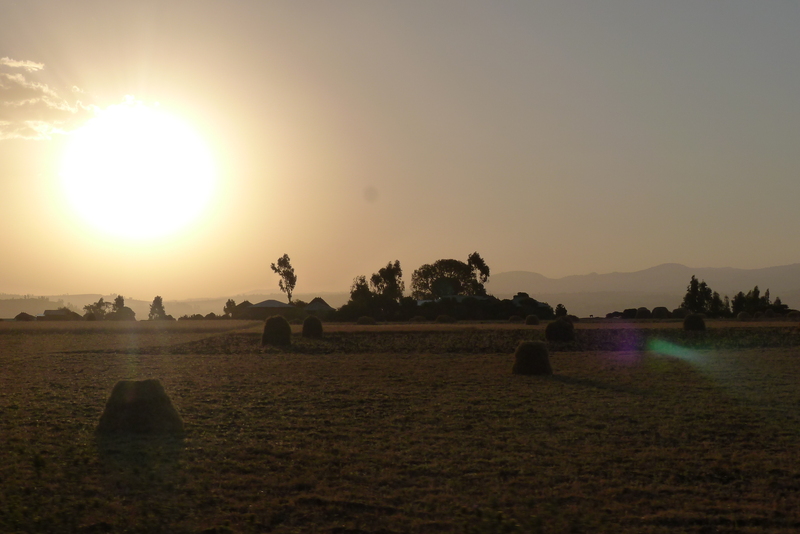 We set off on the road North from Addis Ababa to see the garden site in Fiche for the first time, and to meet with local herbalists to introduce ourselves and the Living Pharmacy project. As we drove further into Oromo territory the landscape changed to broad, sweeping valleys of farmland, hugged by distant hills and forests of young eucalyptus trees. The high central plateaus, which cover half of the country, are some of the most fertile land in East Africa – and Oromia is said to be the breadbasket of Ethiopia, producing more than half of the nation’s crops. We passed fields of grain and pasture for cattle, and started to see garies or horse-drawn carts and little tuk tuks along the road. Women, some quite old, walking bent-double with bundles of sticks for firewood on their backs, children herding cows and goats, and then random groups of young men by the road, jumping together in circles with tall sticks in the air. It’s still Orthdox epiphany time here, and this is the traditional Oromo dance to celebrate. The Oromo people are the largest ethnic group in Ethiopia, with their own culture and language, Oromingna. 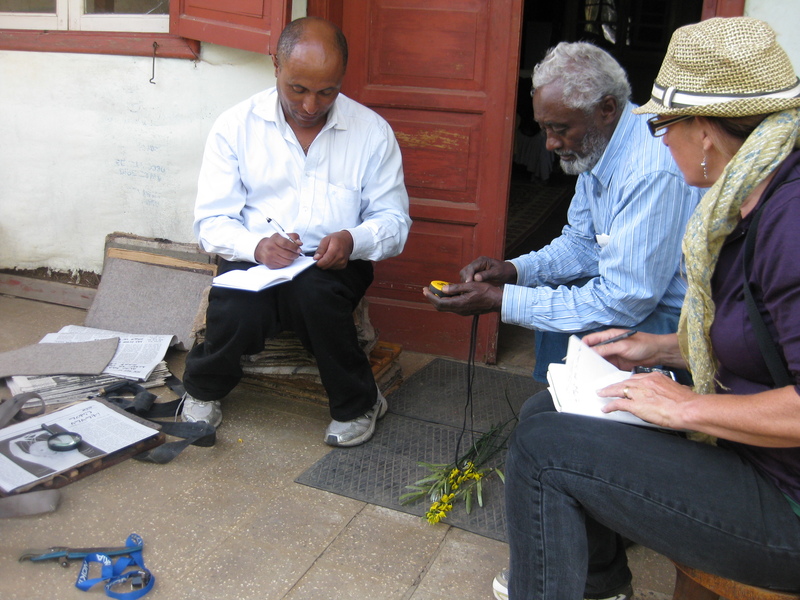 Where better to begin a study of Ethiopia’s healing plants, than a city whose name means ‘New Flower’ – Addis Ababa. After a long flight, with a host of delays to do with visas and extra aid baggage, we stepped out of the sparkling airport in Addis at six in the morning and were very nearly knocked off our feet by a mad donkey, tearing at fast trot between the taxis along Bole road and headed goodness knows where… We’re in Africa! And I’d forgotten how much there is to love about this place; even dusty, chaotic Addis Ababa. Many things look as they did five years ago, though the recent investment and development in the city is obvious. Those construction sites with wonky tree-branch scaffolding now share parts of the road with rows of expensive looking houses and office buildings. There are new sealed roads, but still of course, the dusty grey bundles of rags and tarps by the side of them. Sadly, this is still how many live here. After just a few days, I feel like I’ve been here for a long time. It’s familiar, I feel quite at home out and about, producing a lot of laughs with my feeble attempts at Amharic. 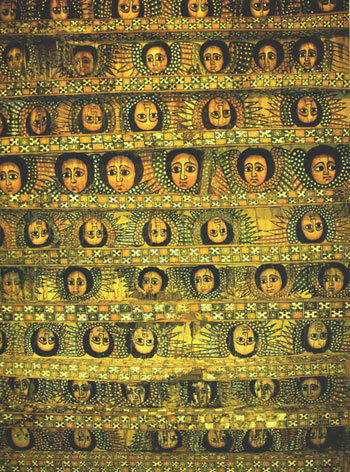 I’ll always stand out as a Ferenji (foreigner) but I’m getting the hang of the language again and the Ethiopian ‘way of doing things’ – nothing much is organised ahead of time here; almost everything is done face-to-face. But a bit like the manic traffic and the road rules (or seeming lack thereof), most things somehow just work and our first week has been a full and productive one.